You may also be a person who just loves to keep his conveniences in arm-reach while swinging on a garden hammock! 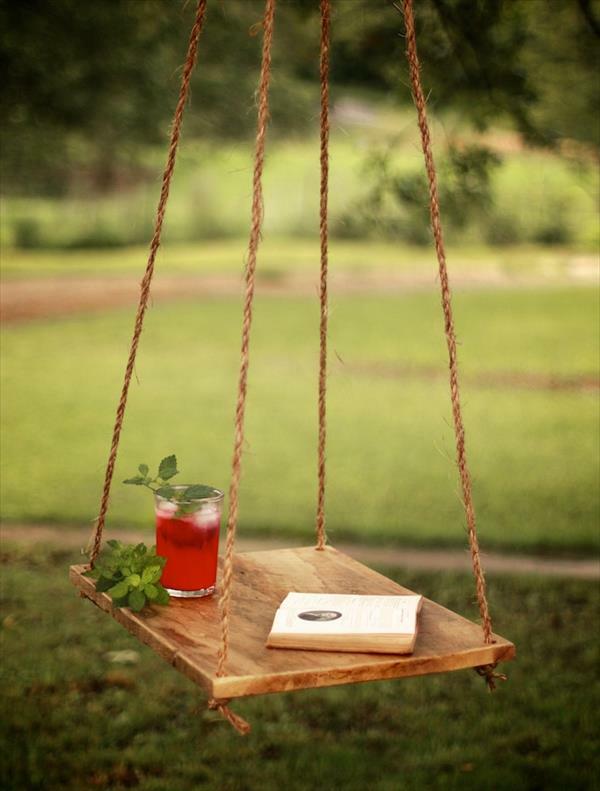 To really provide you there a table surface, we are having here this custom DIY pallet hanging hammock table which can hangs well in sides of you through a tree branch support! 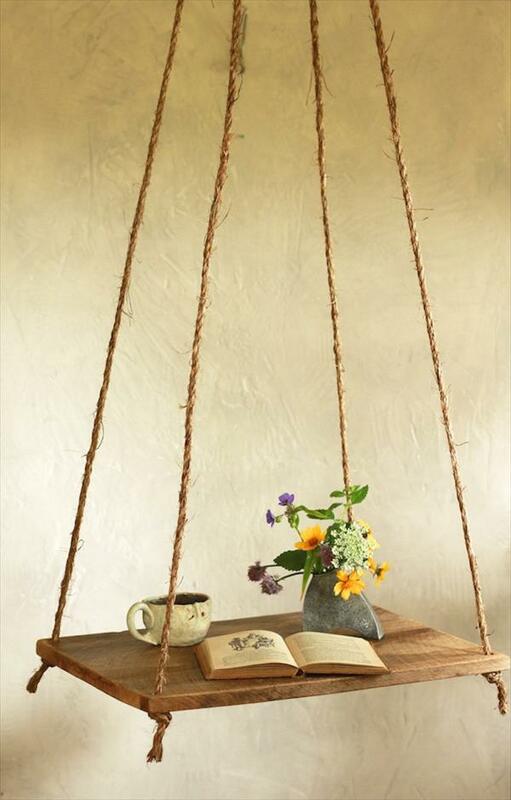 This custom wooden hanging table would also be recommend to hangs in sides of you bed through some ceiling supports as a hanging nightstand there! 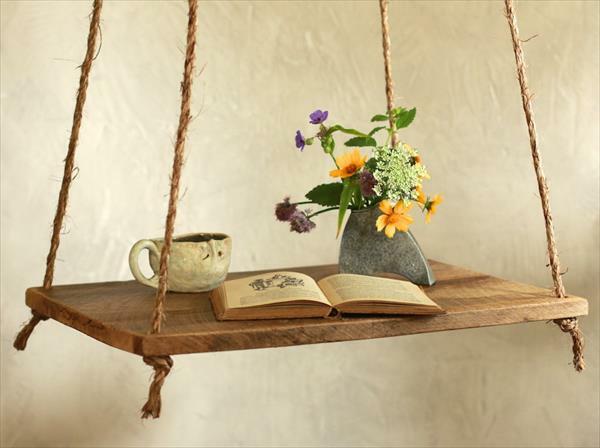 Just join few straight boards of pallets to get a plan wooden surface just like a tabletop and make the tiny holes to its corners and pass the rope ends through, tie the knots to opposite ends of rope to gain this of this wooden plane surface in hanging position to serve as a hanging table! 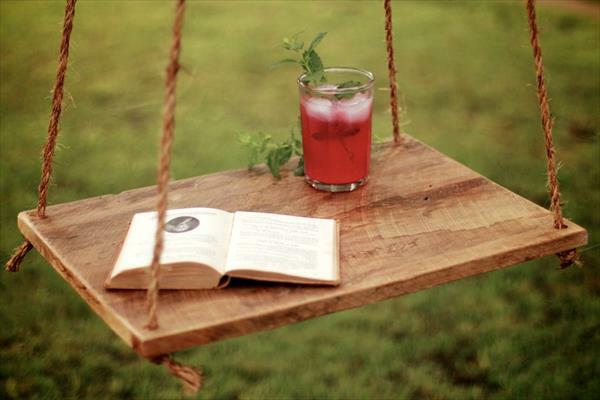 It is just like to build a swing with pallets, do copy this amazing pallet table suggestion and get hanging tables in your services!